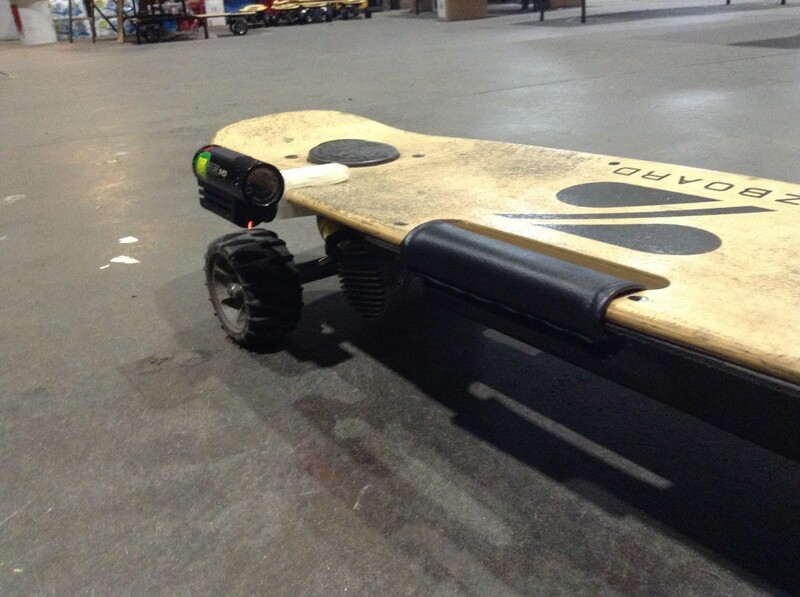 Although it was some time ago, Chris—our co-founder—had the opportunity to work with Fox News and the founders of Z-Boards electric skateboards to film a news story on their company. As part of that story, action shots were needed of the skateboards and they needed to be made quickly. Utilizing Solidworks 2011 and a Makerbot Replicator 2 from the TechShop in SF, both the design and print were completed within a couple of hours. The design leverages two mechanical clamping springs to pinch the skateboard deck and a through hole to w/a countersink / counterbore hole to accommodate the ¼-20 screw head. The story was covered by Michelle Macaluso from Fox News and we were happy we could assist in some quality news-worthy film. For details on the solid model and photos, check out Chris’s blog. You can watch the Fox News Segment at this link. Don’t know how to get your hands on a 3D printer? Drop us a line: www.You3Dit.com and we’ll be glad to help you Make Anything, Anywhere!